The relaxation in the percentage of marks in the qualifying examination and in the reservation of seats for SC/ST/OBC and other categories shall be as per the rules of the central government/state government, whichever is applicable. Every candidate shall be required to appear in Physical Fitness Test, as per events mentioned*. Candidate failing in Physical Fitness Test shall not be considered for admission. B.P.Ed (01 year)/B.P.E. 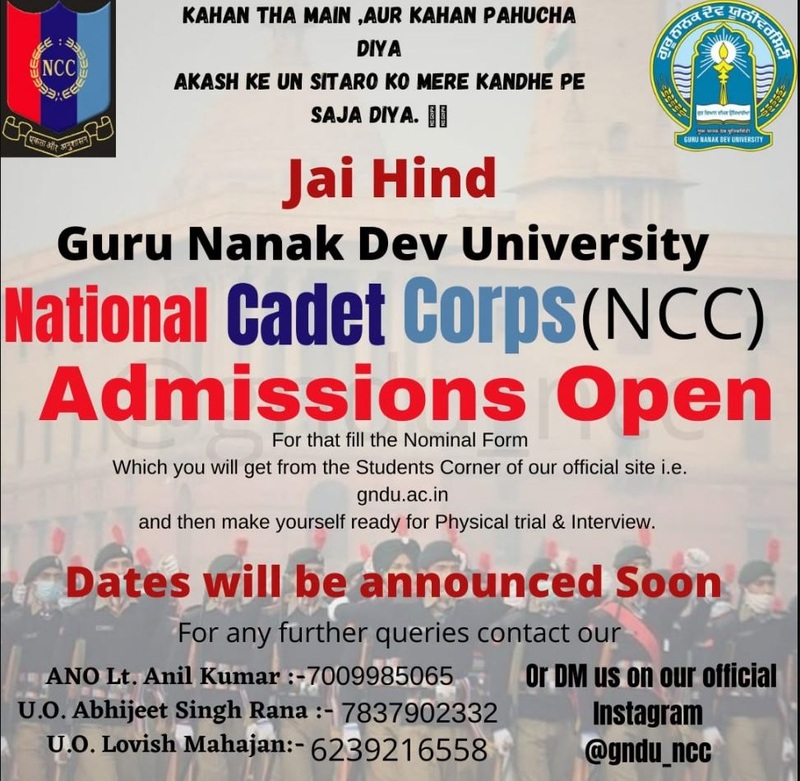 (4 years) Degree from Guru Nanak Dev University or from a recognized Indian or Foreign University/Institution with at least 50% marks (45% for SC/ST) in aggregate. Every candidate shall be required to appear in Physical Fitness Test, as per events mentioned*. Candidates failing in Physical Fitness Test shall not be considered for admission.